We’ve had our 2011 Kia Sorento for nearly three months now and I have not a single complaint about the vehicle, but universal praise. And Kia as a company is at least Saturn’s equal in customer service. Yesterday, among the various junk mail that fills the mail box on a Tuesday, was a $20 MasterCard gift card from Kia, as a thank you for completing the customer satisfaction survey they asked me to fill out a month or two ago. I had no idea at the time I complete the survey that I was going to be rewarded with the gift card, and I was happy to complete the survey anyway, and rank Kia very highly indeed. It was a pleasant surprise, therefore, to find the debit card in the mail yesterday, but it is also typical of my experience with Kia thus far. I loved my Saturn, and I thought Saturn was a great company and I was sat to see them go. 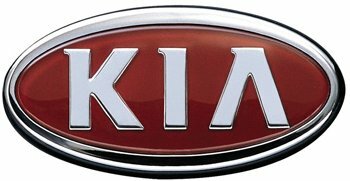 But I have to say that so far, I love my Kia even more, and I have been very impressed by their company and especially their customer service, and I would have no hesitation in recommending them to others.